This week marks the return of METAL MONDAY. I’ve got a lengthy list of bands I plan on featuring in upcoming METAL MONDAY posts, but today I want to spotlight Kraptor. 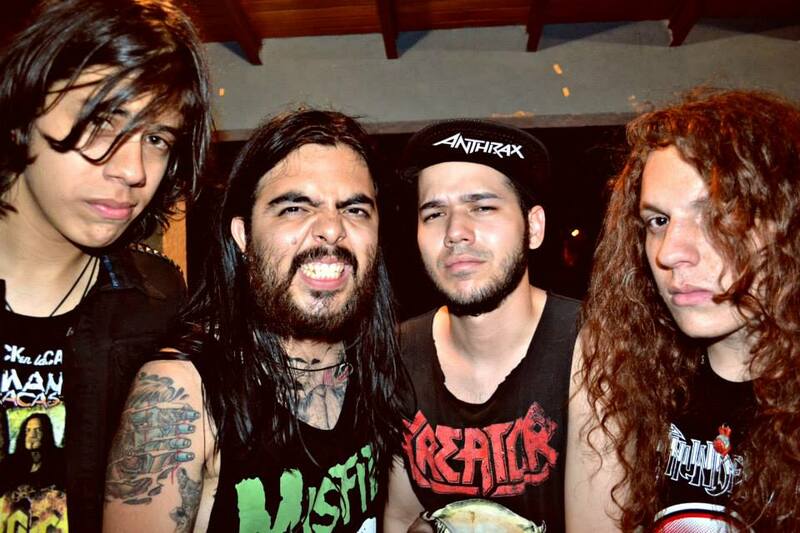 Hailing from Venezuela, Kraptor are an awesome thrash metal band. What I like about Kraptor is the band’s above-average musicianship and sense of humor. Kraptor know how to play their instruments but avoid that cold, sterile sound many wanna-be-virtuosos usually crank out. The band has a tight, professional sound but don’t take themselves too seriously. I love a metal band that can play their instruments but are also unafraid to be fun. Kraptor, don’t they look fun? The band’s sense of humor is refreshing in a genre filled with deathly serious/super angry bands. Kraptor’s album, NIGHT OF THE LIVING DEAD, is a thrash metal concept album that spoofs B-movie horror movies but still manages to knock you socks off. The killer cuts are interspersed with short newsbreaks reporting on the chaos caused by a plague of zombies. While this ain’t Romero’s NIGHT OF THE LIVING DEAD, Kraptor’s album works for me thanks in large part to the juxtaposition of the melodic yet muscular tunes and hilarious zombie-outbreak story. The album as a whole is strong, but I highly recommend “Civil Disobedience” and “Damage Brain.” There’s a particularly propulsive guitar solo near the end of “Civil Disobedience” that made me sit up and take notice. Kraptor is a great little band that deserve more attention here in the States, and while the the band doesn’t seem to have an official website, you can follow them on Twitter. I recommend you do so.